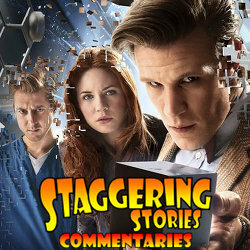 Adam J Purcell, Andy Simpkins and Keith Dunn sit down, suicidal, in front of the 2012 Doctor Who story, The Angels Take Manhattan, and spout our usual nonsense! 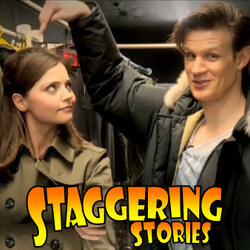 BBC: Doctor Who – The Angels Take Manhattan. Wikipedia: Doctor Who – The Angels Take Manhattan. 01:55 — Doctor Who: Christmas Prequel on Children in Need. 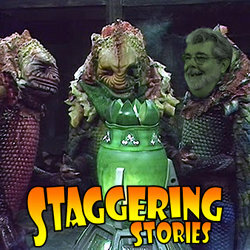 03:44 — Star Wars: Disney buys out George Lucas. 05:50 — Community: Season Four dated on NBC for 7th February 2013. 07:29 — US Presidential Elections: Joss Whedon ‘endorses’ Mitt Romney. 08:29 — Doctor Who: BBC newsreader dresses as a Sontaran! 09:26 — The Hobbit: Air New Zealand Hobbit safety video. 10:19 — The Colin Baker: Reality TV victim. 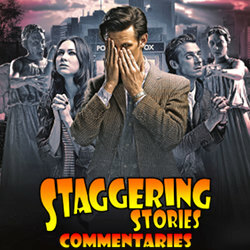 12:23 — Doctor Who: Whostrology book now available! 33:13 – Star Wars: What does the Disney buyout mean? 48:59 – Red Dwarf X: Entangled and Dear Dave. 69:32 – Farewell for this podcast! 70:10 — End theme, disclaimer, copyright, etc. Daily Mail: BBC newsreader dressing as a Sontaran. YouTube: An Unexpected Briefing (Air New Zealand safety video). ITV: I’m a Celebrity Get Me Out of Here! BBC: Doctor Who – The Web Planet. Wikipedia: Doctor Who – The Web Planet. Adrian’s link: Bloomberg’s Star Wars/Disney news. Amazon.co.uk: Doctor Who – The Web Planet DVD. Amazon.co.uk: Doctor Who – The Visitation DVD. Amazon.com: The Web Planet DVD. Adam J Purcell, Andy Simpkins and Keith Dunn sit down, rubixed, in front of the 2012 Doctor Who story, ‘The Power of Three’, and spout our usual nonsense! BBC: Doctor Who – The Power of Three. Wikipedia: Doctor Who – The Power of Three.